The Western Upstate is known for its beautiful scenery, and you can witness it with several of your local neighbors next week. Naturalist James Wilkins will host a night of beautiful scenery in Clemson, SC’s Botanical Gardens. 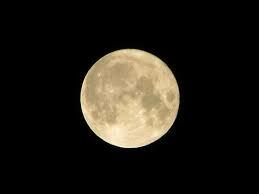 You will be able to experience everything that happens in nature during a full moon. Doing so will allow you to experience the Western Upstate at its most natural and quiet as opposed to the hustle-and-bustle you may hear during the day. While Clemson is known as a beautiful city and is the home of Clemson University, the neighborhood has so much more to offer than most people realize. Now is your chance to experience the true beauty of our area. Although it will be dark, you do not need a flashlight, but please bring your best hiking clothes as you will be trekking through the woods. We are sure it will be a grand adventure. The Powell Group invites you to take this chance to explore our beautiful area at night. It will truly be a different experience. We also have several available homes in the area that can be viewed on our website. Our team members are here to answer all of your questions and concerns.